Sign up NOW for our 2018 Burpee Catalog and receive $10 OFF your next purchase! Their Burpee Catalog mailing begins late December 2017, and continues through April 2018 (or until copies run out). 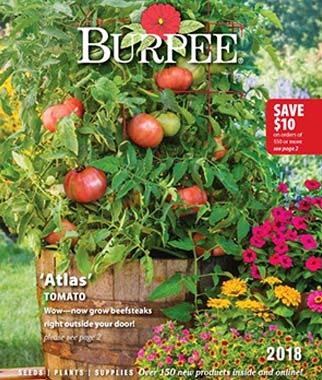 All of their Burpee 2018 Catalog products, plus hundreds of additional items, can always be found online at www.burpee.com. We are ready to plant our garden! What grows well here?